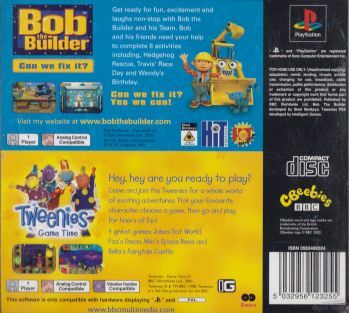 Consoles :: PlayStation 1 :: Play Station 1 Games :: Bob The Builder - Can we fix it? Home/Consoles/PlayStation 1/Play Station 1 Games/Bob The Builder - Can we fix it? 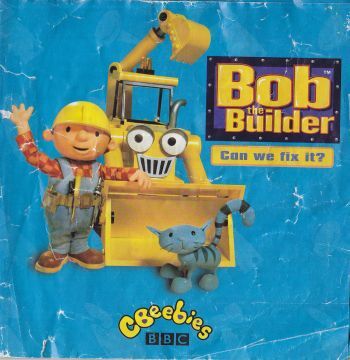 Join Bob the Builder in eight "fix-it fun" activities, including Bubble Trouble, Where's Prichard, Hedgehog Rescue, Wendy's Birthday, and more. With a variety of difficulty levels, original voice work, and entertaining music, Bob the Builder: Fix It Fun delivers loads of fun for kids of all ages. No Front cover and instruction Booklet is in poor condition. Instructions included but are in poor condition. there is no game cover included but the instructions are clearly visable through the front cover.